I have the book by Jessie Hawkins, The Vintage Remedies Guide to Bread, in which she describes the benefits of the ancient method of sourdough bread making. The bread described in the book needs to rise from 12 to 36 hours, which makes it has a low glycemic index, low gluten, and being much more nutritious, etc. I have tried several loaves, and they come out good tasting, but way too dense and the crust is very hard. I suspect it has something to do with the starter, but I'm not sure. 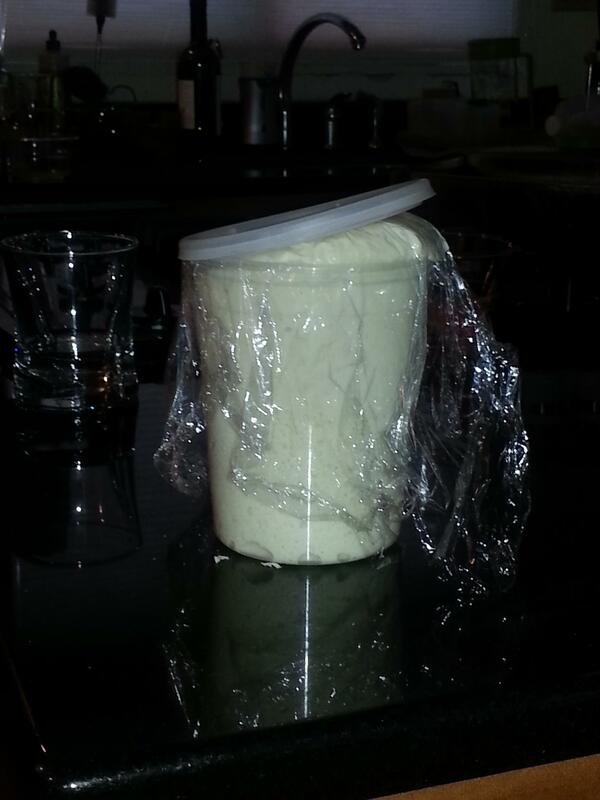 I try to make sure the starter is active before I mix the dough. Some loaves rise quickly and are ready to bake after 12 hours, but more often they take 36 hours. The top crusts sometimes separates from the loaf. Without seeing the loaves or knowing your exact procedures, it's hard to guess. My money would be on too dry a dough. 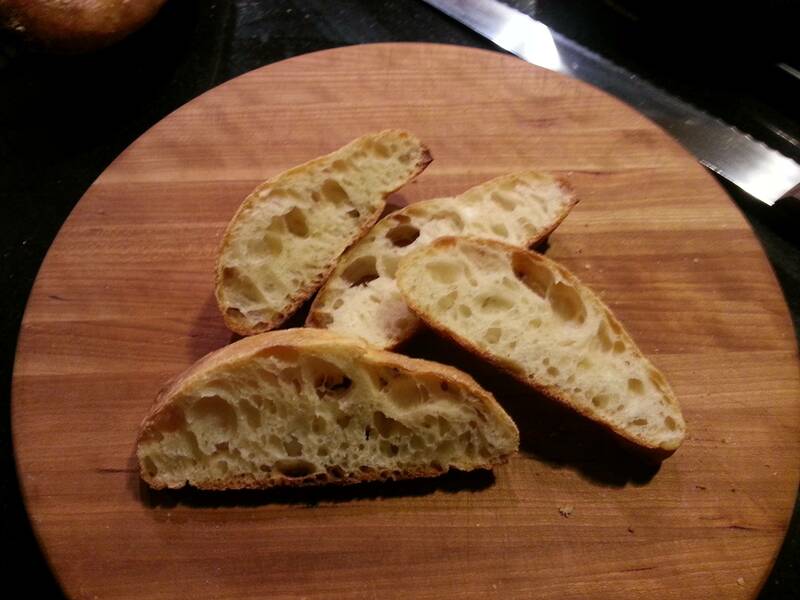 Could also be inactive starter, too long a bake, not a hot enough bake, not enough rise time/temperature. So I'll just talk about how I make sourdough in the hopes it'll help. These are techniques I've learned from various books (most notably Reinhart's The Bread Baker's Apprentice) and experiences. If I did it right, you can click any of the thumbnails for full size images. First order of business, of course, is having a nice, active starter. I build my final starter from the barm the day before. Depending on my schedule, I either leave it at room temp all night or feed it earlier in the day and pop it in the fridge. It then comes out to warm up a few hours before I bake. It should show strong signs of life. This starter was made with nothing but flour and water--no grapes, no commercial yeast, no juice. ...and switch to the dough hook for 5 minutes or so. The dough should be stickier than you think it should be. 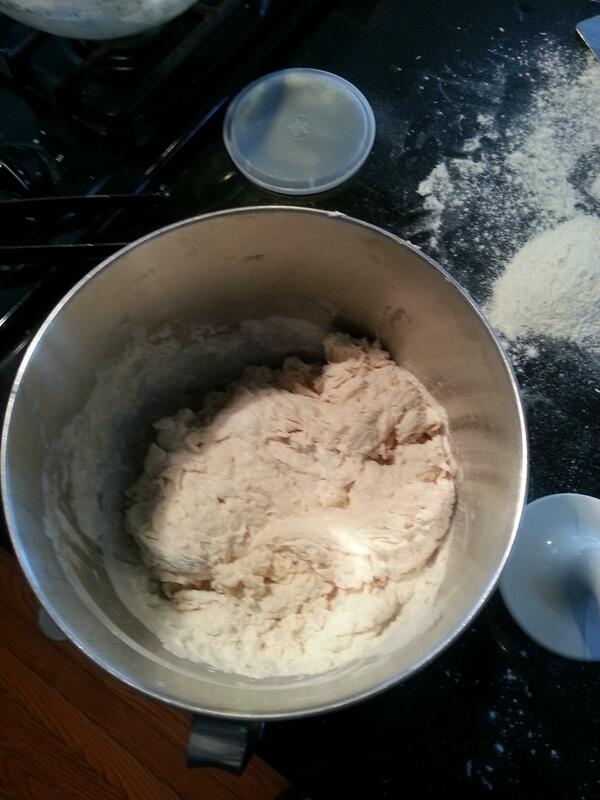 Turn it out onto a floured surface for 4-5 minutes of final kneading by hand to adjust the flour. It should be smooth and supple, still be a bit tacky, and pass the windowpane test. When you stretch it to form a boule, the outside should be smooth and not tear. Let it rise 3-4 hours at room temp or slightly warmer (a closed oven with a bowl of hot water works well). Then shape and proof for another 3-4 hours. I start with a very hot oven. 500-550F for artisan loaves. If using a stone, get it in there 45-60 minutes before baking, that way the stone and oven get a good heat soak. Then when the loaves go in, you want to create steam to allow the bread to rise before the crust hardens. A steam pan is a good idea, and I also spray down the walls of the oven with a squirt bottle. Be careful of squirting the light bulb--it will shatter. Don't ask me how I know. After a few squirts, turn the heat down to your final baking temp. I usually go with 450F. Don't forget to slash them, too. That helps them expand and prevents blowouts. I had some issues getting these guys onto the stone (not my finest hour), but they were still outstanding. You can see the crumb is open and light, but still gelatinized and chewy. Perfect, in my book. It could be that your dough is too tight, meaning it is too dry. 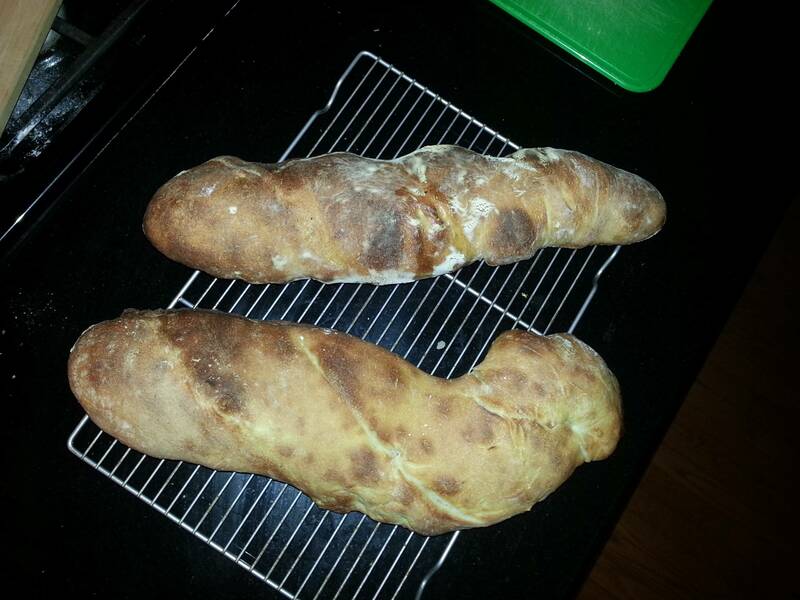 For awhile I made the mistake of adding too much flour and it resulted in bread that was too dense. Try adding another 50ml or more of water and see if it improves your results. Don't worry if it gets a bit gooey, that's ok, just knead with oil instead of flour. 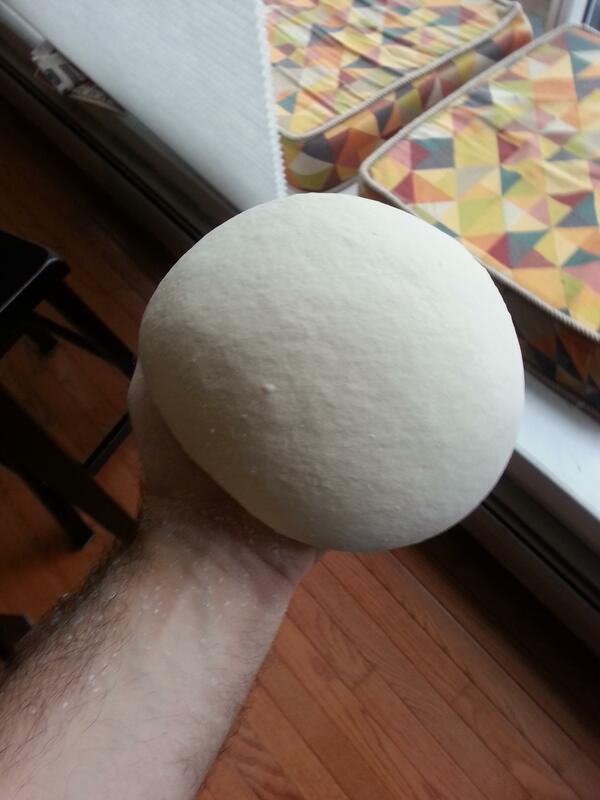 It is another possibility that your dough is over-worked, do you machine knead or hand-knead, and how long? EDIT: There is a relationship between the amount of gluten in flour to the amount of water that is needed to make a dough with the right consistency. The more gluten, the more water is needed. Whole wheat flour has less gluten than white flour, and you can get bread (aka strong in some places) flour that has extra gluten added. The wheat flour would need significantly less water than the strong bread flour. The amount of gluten in flours differs from region to region, brand to brand, and therefore the amount of water in a recipe is approximate, and you must vary the quantity in order to get the right consistency. 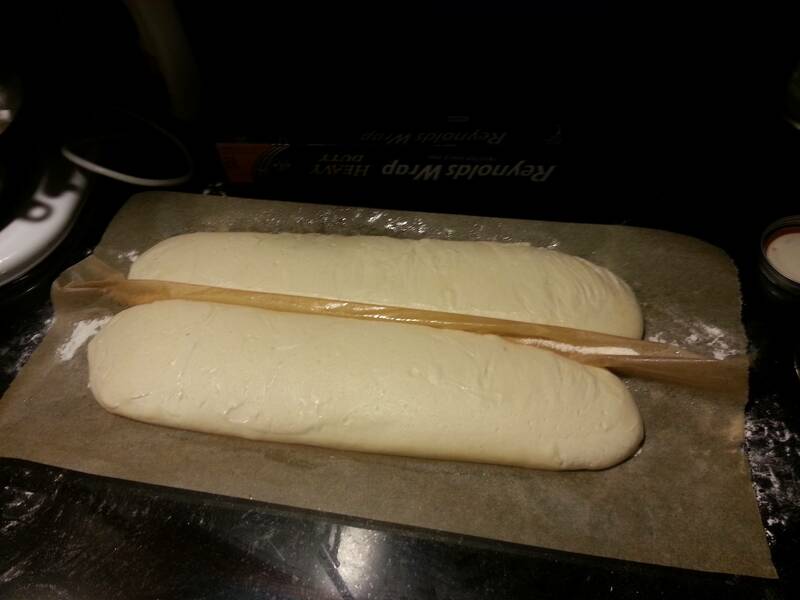 The way to go about this is to hold some of the flour in reserve and knead it into the dough. You want to add as much flour and you need to achieve the consistency you are looking for, and no more. Once you have the consistency you want don't add any more flour, even if it is sticky, as that will make your bread too dry. IF you don't like working a sticky dough use oil and not flour to prevent sticking. Personally I like to work a sticky dough without oil, I let it adhere to the counter and pull it with my fingers, but YMMV. Don't be afraid to add water to the dough if you've added too much flour, it may be a bit messy but it is better than dry bread. It's best to do that by hand as a dough hook will just start sliding around. Not the answer you're looking for? Browse other questions tagged bread sourdough starter or ask your own question.